This beautiful design is a perfect accent piece for anyone who loves lighthouses. It is sewn with bright colors, such as pacific blue, yellow, orange, ruby and red. 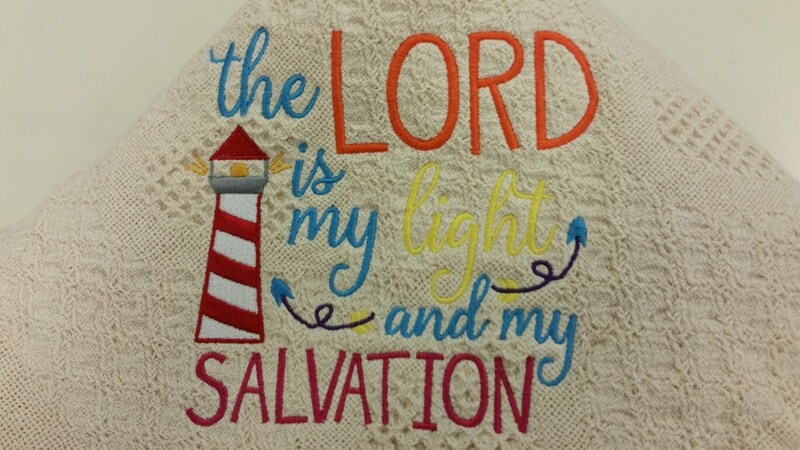 It says "The Lord is my light and my salvation" If you would like different colors instead of what is shown, just message me and let me know. The honeycomb heart throw/afghan is available in natural or white. 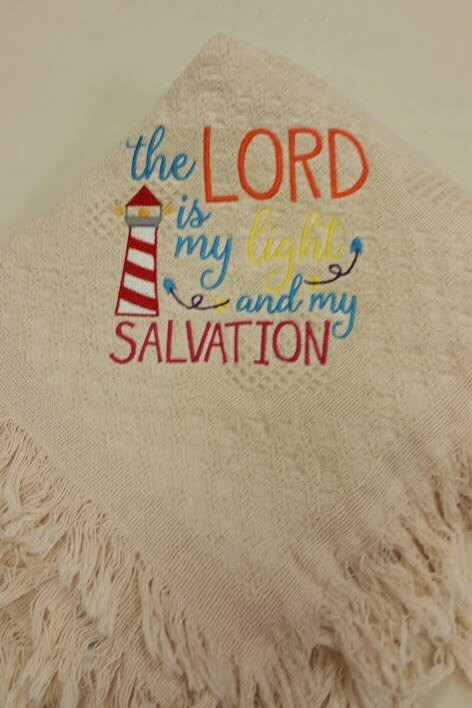 It is 100% cotton, double layered, and measures 48” X 60.” Machine wash in cold water on gentle cycle.